From meeting our old school friends to enjoying a house party, we all are fond of capturing them with our cameras or smartphones to cherish those memories later. While we have a number of ways to safely back them up on Google Photos or other cloud services in the recent days right from our smart devices, it isn’t easy to apply the same on the photos and videos that were captured years ago. It isn’t impossible, but there’s a lot of manual efforts. The only way to preserve those photos and videos is to count on traditional media like CDs, DVDs, hard drives, etc., which are prone to scratches that can eventually delete the memories forever. Just in case, the situation isn’t that for you, you might still want to copy them on some traditional media if you don’t trust the online backup services or the way they treat your data. That is a big reason for most users to still use traditional media for backup in the first place! Not only that. Just in case, you want to show your memories to some of your friends, and don’t have access to the internet, the traditional media can help you cherish your memories anytime, anywhere. 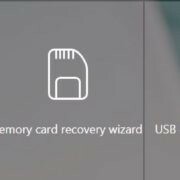 As traditional media is prone to damage, which is one of the biggest flip sides of using traditional media, there is repair software available, which can help you retain all your memories forever. So I recently came across the Yodot AVI Repair, which is a decent piece of software available for Windows and Mac that can repair AVI, DIVX, XVID videos for you in no time. So let’s get started with how to use Yodot AVI Repair to help you repair AVI videos easily. Just download the AVI Repair Tool. In the download page, choose the edition as per the platform you are using. Yodot AVI Repair is available only for Windows and Mac. On downloading, the Yodot AVI Repair, the trial version will be downloaded. Just open the installer, and proceed with the steps, which is similar to the installation of other programs on Windows. 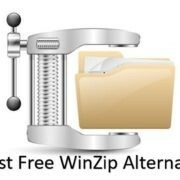 The program is free from any packed malware or crapware, so you can move forward without any issues. Once the installation is complete, just double-click on the Yodot AVI Repair program on your desktop to open it. 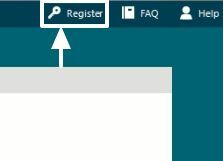 While opening the program for the first time click on ‘Register’ to register the program. 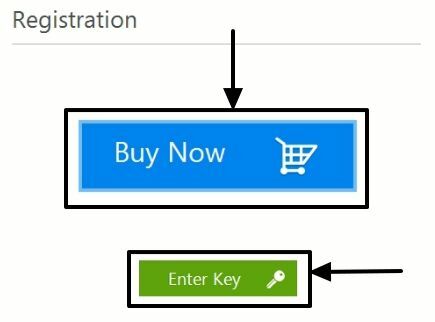 Now you can either click on ‘Enter Key’ to enter an existing registration key and register it either online or offline. You can even go the website and purchase the full version of the software if you are satisfied with it. Just choose the appropriate option as per your needs. Now let’s get started with how you can use the software to repair corrupted video files with just a few clicks. Open the program, and click on ‘Browse’. Now locate the file, which you want to repair, by opening the appropriate folder. Once you have selected the file to be repaired, click on ‘Repair’, to start the repairing process. 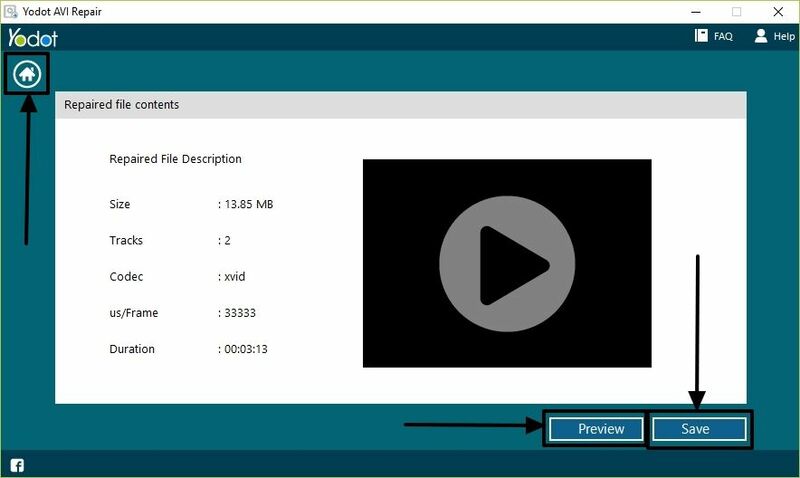 Once the repair process is complete, you can either preview the file or save the repaired video file to the desired location. Just tap on the home button on the top left corner of the screen to go back to the home screen, and start a new video repair afresh. So that was it. 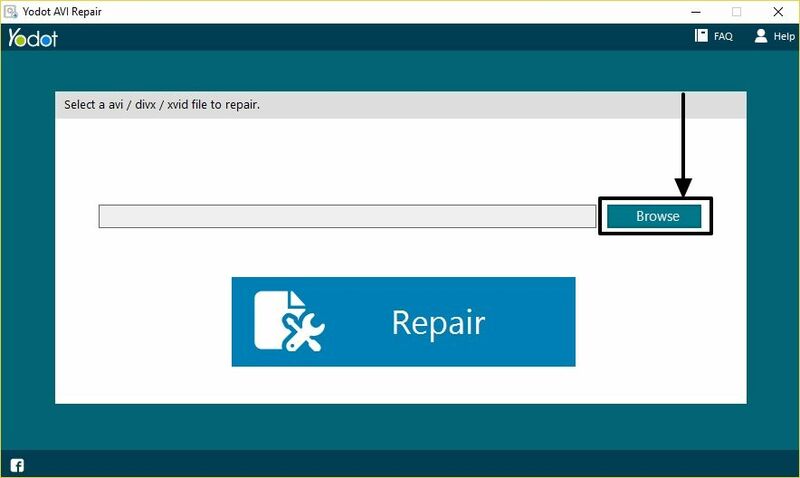 Yodot AVI Repair is a simple software that can help you get your job done. Depending upon the circumstances, a video file was damaged or corrupted, it isn’t technically possible to reconstruct the complete video when some part of it is already lost. But if the video wasn’t playable before repairing, it should now be playable after the repair process, however, the lost part might not be available, or can be a little blurry, depending on the degree of damage. Let’s now talk about the pros and cons of the software. 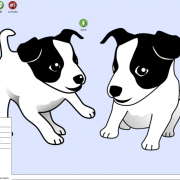 A very easy and intuitive user interface, all types of users will find in handy. There aren’t many buttons in the user interface, and there isn’t any drama of advanced features. Just add the file, and get started with repairing. It is as simple as that. The Windows edition of the Yodot AVI Repair consumes around 25 MB of space on your hard drive, which isn’t an overwhelming number, and the software functions flawlessly, even with limited hardware resources. Yodot AVI Repair can run on systems with as low as 1 GB of RAM. The software has support for XVID and DIVX files, apart from AVI files. AVI, XVID, and DIVX formats aren’t that popular nowadays, and if the developers add support for some new video formats like MP4, FLV, it will make this software a real deal. It isn’t possible to add multiple video files at once for batching processing. I wish the support for adding multiple video files is added soon by the developers. That was it. None of the cons is a deal breaker, and you should use Yodot AVI Repair if you work with video quite frequently, or is a professional. I know it lacks some features, but I hope the developers will add a lot of feature with the upcoming updates. Yodot AVI Repair is available for $69.95 or 4,900 INR, which is a tad high. That was all about Yodot AVI Repair. Hope the information was important for you. Do you still have any questions in mind about the software? Feel free to comment the same down below.